Mondo Musicals! : LITTLE SHOP OF HORRORS: Cross-Pollinization! LITTLE SHOP OF HORRORS: Cross-Pollinization! Since I first heard them in 1986, the Little Shop songs have been like a personal scavenger hunt for me, as I explore 60s music and find all the little references which make this an indelible bit of Baby Boomer nostalgia. By design, the Little Shop score evokes Motown, Doo-Wop and the songs of Ellie Greenwich as produced by Phil Spector. As a point of comparison, Menken's Brill-Building-inspired, piano-driven pop is very much in the same vein as Billy Joel's. Of course, Menken marries these pop/rock influences to a classic Broadway sound, exemplified by Rodgers & Hammerstein (The Sound of Music, Oklahoma!, etc) and Lerner & Loewe (My Fair Lady, Camelot etc), with just a smidgen of Kurt Weill in there, too. Menken's musical style is also quite consonant with that of Stephen Schwartz (Godspell, Pippin, Wicked). It is surely no accident that both composers have been tapped by Disney for its newer films. As for Howard Ashman's lyrical style and its possible influences, that is a much more difficult thing to pin down, though of course the book and lyrics abound with witty references to pop hits of the era. One might observe that his clever, idiomatic lyrics recall the work of Frank Loesser (How to Succeed in Business Without Really Trying, Guys & Dolls, etc). These general influences aside, I have found a lot of direct musical and lyrical quotations, and I thought it would be fun to enumerate them, with links galore for your listening pleasure. Click "Read More" for the full list. I advise right-clicking on links to open in a new tab, so you can listen & read without interruption. The line "feel the Sturm und Drang in the air" is a reference to dark and stormy dramas of the German 18th Century, and to the 1920s - 1950s music of Kurt Weill, the flavor of which Alan Menken says was originally very prominent in the early version of the score, before the "60s Pop" motif took over. "Da Doo" - Reference to the famous "Da Doo Ron Ron," also by the Crystals. The movie adds a Doo-Wop style musical interlude on the bridge. "Grow For Me" - I can't think of a specific reference for this song, but it's a parody of the type of lovelorn ballad a romantic hero might sing to the girl who doesn't notice he exists. 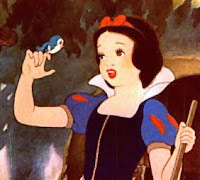 "Somewhere That's Green" - It's a fantasy wish-fulfillment song for our heroine along the lines of "I'm Wishing" from Snow White or "A Dream is a Wish Your Heart Makes" from Cinderella. The "I Wish" song has a long history in musical theater, with the genre represented by such songs as "Corner of the Sky" from Pippin, "If I Were A Rich Man" from Fiddler on the Roof, and "Goodnight, My Someone" from The Music Man. Or, come to that, "Part of Your World" from Ashman & Menken's The Little Mermaid! 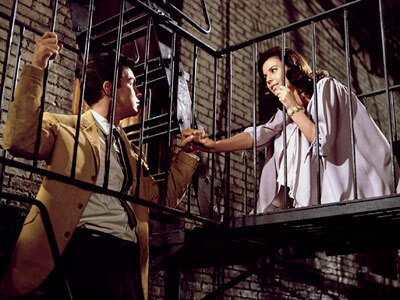 "Ya Never Know" / "Some Fun Now" - This Calypso-flavored number (and, in the movie, its rooftop setting) somewhat evokes "America" from West Side Story, but not really all that much. 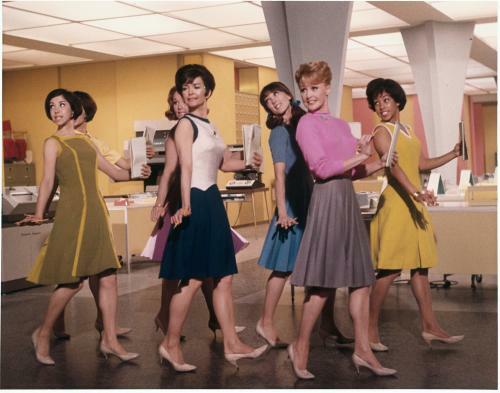 Still, I don't need much prompting to include a link to this dynamite number, as performed by the fabulous Rita Moreno. "Closed for Renovations" - Reminds me a little of "Whistle While You Work" from Snow White. On crack. "Dentist!" 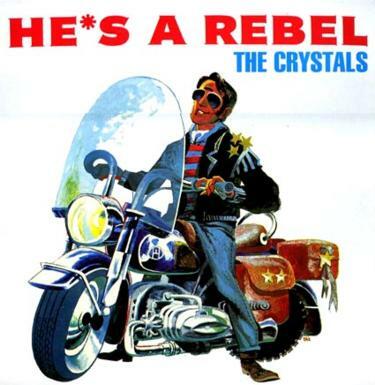 - Like "Little Shop," this song references "He's a Rebel." and "Leader of the Pack". Orin's introduction and playoff music heard in the play (but not the movie) lift a riff from "Leader." "Mushnik & Son" - This klezmer-based song reminds me of Fiddler on the Roof . And wouldn't Zero Mostel have made an amazing Mushnik? "Feed Me" - A spoof of old-time blues numbers, specifically of "Rock Me, Baby," which has been sung by BB King, Etta James and many others. The bluesy riff really only takes up the first verse, which is constructed in the classic manner of repeating the first line & having the third, longer line add to what was said in the first two. You can pretty much sing the first verse of "Feed Me" to the tune of "Rock Me Baby." Also, the ominous two-note "Feed Me" motif also can't help but remind me of the famous John Williams theme to Jaws. And here's a cool bonus - Alan Menken singing a snippet of the original, Kurt Weill influenced version of "Feed Me." "Now (It's Just the Gas)" - This seems like Ashman & Menken's attempt at a Gilbert & Sullivan style patter song, such as the famous "I Am the Very Model of a Modern Major-General" or the fiendishly difficult "My Eyes Are Fully Open." If that's not enough patter for you, try the delightful Nightmare Song. "Call Back in the Morning" - Again, can't think of a specific reference for this one, but memories of our old friend How to Succeed keep surfacing. This number is frequently cut from amateur productions, as it's rather tricky to sing. "Suddenly Seymour" - According to Howard Ashman, this was their attempt at a song like "Bridge Over Troubled Water" by Simon & Garfunkel. There's some Rodgers and Hammerstein in there, too, and of course, "Tonight" from West Side Story. "Suppertime" - Ashman says this was supposed to sound like "Tubular Bells," better known as the theme from The Exorcist. It's worth noting that the thrumming guitar lines heard in the Off-Broadway version are lifted straight from Pink Floyd's The Wall. "The Meek Shall Inherit" - Not based on any specific song, but the sales pitches remind me very much of How to Succeed in Business Without Really Trying (indeed, on Frank Oz's DVD commentary he says he copied the look of that film for this sequence). The dream sequence soliloquy is pure Rodgers and Hammerstein. "Mean Green Mother From Outer Space" - The song is based on a modified version of the famous "Bo Diddley" riff, and also evokes the 1958 novelty hit, "Purple People Eater." "Don't Feed the Plants" - The ominous thudding chords are just a slowed-down version of the famous opening percussion of "Be My Baby." Very similar riffs appeared in Alice Cooper's "Hello, Hooray!" (at the beginning & especially at 2:30), and The Carpenters' "Superstar." 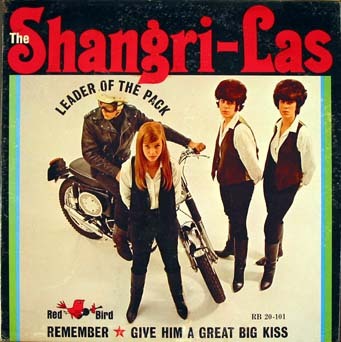 The little refrain in between verses is from Spencer Davis Group's "Gimme Some Lovin'." "A Little Dental Music" - This Muzak-flavored song references the "easy listening" and light-classical musicians André Kostelanetz (conductor who hosted a long-running radio show); Henry "Hank" Mancini ("Pink Panther" Theme, "Moon River"); Gordon Jenkins (wrote lush string arrangements for Sinatra and others, as well as 50s "exotica"); Ferrante & Teicher (easy-listening piano hits); The Mormon Tabernacle Choir (choral renditions of inspirational songs); The Living Strings (a studio orchestra); André Previn (famed Broadway and classical conductor; still alive and working); and Montovani (with his famous "cascading strings"). "The Worse He Treats Me" - A parody of "He Hit Me (And It Felt Like a Kiss)" which was banned from the radio. The song was removed from the show because it didn't fit Audrey's character (she's not a masochist), and seemed to make light of battered women. Phil Spector, who produced the original song, is now in jail for murdering his girlfriend, so there ya go. "We'll Have Tomorrow" This is my favorite song from Little Shop of Horrors, and it's not even in the show! It's a heartbreaking, ironic and tragic declaration of love between the main characters, and I greatly regret that it was cut from the show. It's super. If you click on the song title in this post you'll hear Howard Ashman and Alan Menken singing the demo; click this link to see Ellen Greene and Lee Wilkof singing it at Howard Ashman's memorial. To me, it seems like Ashman & Menken's attempt to write another version of "Somewhere" from West Side Story. The song is truly one of the greatest musical theater songs ever, from one of the greatest-ever shows, and Little Shop has many moments that reference this Romeo and Juliet set in the slums of New York City. There's a little bit of Weill's melancholy "September Song" in there, too, if I'm not mistaken. 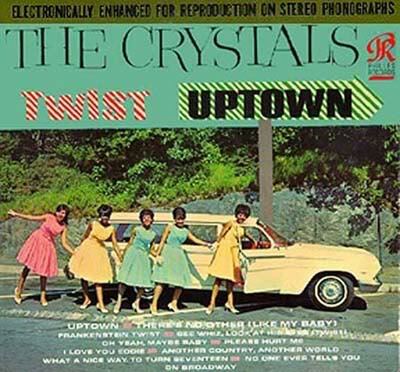 Here's a bonus link of The Supremes doing "Somewhere," girl-group style. The Little Shop song can he downloaded from Amazon.com for just 99 cents - so get thee hence! 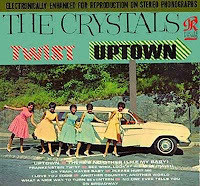 "Crystal, Ronette and Chiffon" (click the title to hear the song) - The Chorus Girls are named, naturally enough, for 1960s girl groups The Crystals, The Ronettes, and The Chiffons. The first two groups were produced by the legendary Phil Spector, whose "Wall of Sound" production style is also referenced in the lyrics. This song was originally intended to play over the end credits in the movie, after the "Little Shop" reprise. Instead, it was replaced with a medley of song clips. It's a shame, cause I really dig this song. 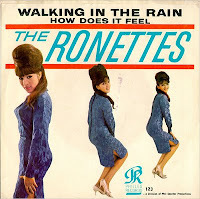 It is very much along the same lines as Rachel Sweet's faux-60s "Hairspray" song from the John Waters movie, and the 4/4 piano has a bit of Billy Joel in its DNA as well. Wow, such an indepth look at the wonderful music from Little Shop. Thanks for posting! I enjoyed that analysis a lot. I found your comments regarding "Grow for me" very interesting. I love the musical style from "Little shop of horrors" and I set out to write my own piece, a tribute to "grow for me" and those type of old 6/8th ballads from the early 60s. I've never once thought "these songs are usually sung from the perspective of romantic hero who sings to the girl who doesn't notice he exists". But my musical tribute to "Grow for me" actually just naturally turned out to be EXACTLY that, so my jaw dropped when I read your description of the style. I grew up with Alan Menken's music, so there's probably some of his way of thinking, melodically, in a lot of the things I do. Thanks for the comments, Emily & Anon! I appreciate it. And good work with the song, Anon. Thanks for that link! I believe the direct reference you're looking for in "Grow For Me" is "Sleep Walk" by Santo & Johnny and/or The Ventures' cover, particularly the guitar part in the opening of the film's version. Also, the stuck in the shower part from "Psycho" right before Orin strikes Audrey in "Feed Me." Thanks, Anon! You caught a few I missed, for sure. Hey, be sure to join the FB group trying to get the original ending out on DVD! the little flourish between verses in "Meek sounds kind of like the intro from "Light My Fire" by The Doors. Maybe be a bit of the opening from The Who's Baba O'Riley in "Don't Feed The Plants" (as the finale builds up, following the "subsequently" into). PLANET OF THE APES...The Musical!